Luminescent watch can be shipped to any city in the World. Glowing watches start to glow in the dark by themselves after turning off the lights or moving to a less illuminated place. Wristwatch with self-luminous hands and face is a cool modern trend that complements the individual style of every person. There where attempts to make watch hands luminous long time ago. However, they were using the zinc oxide or similar substances as a light-generative material at that time. Producers were applying that material to the watch's hands and face hoping to make them useful in the dark. Due to the low peak brightness of the zinc oxide glow powder it was able to see the time on these watches only after your eyes have been adopted to the darkness. That disadvantage was killing the idea of making a glow in the dark watch face. It stayed the same until Noxton Company developed a high quality glow powder made with aluminas. When using the new type of glow powder sold by producer you can be sure you'll get higher glow intensity and a longer lasting afterglow comparing to the older types of glow powder. There are some developments of a new raw material that will provide even better glow intensity going on right now. As for today, when you turn off the lights - the hands, face and body of the watch , covered with glowing paint from Noxton or Glow in the Dark Powder TAT 33, start to brightly glow in the dark. These wristwatches can be used for illumination (to light a keyhole or to find something in a bag). It became possible when we started to use the developed by our Company modern Glow in the Dark Powder TAT 33. Photos of the glowing watches can be seen below. High afterglow intensity stays here for years and is not getting reduced with time. In fact you get an everlasting luminescent watch. Luminescent wristwatches - most commonly the watch hands and marks showing the hours are made self-luminous. Less often producers make the whole watch face luminescent. Glow in the dark wall clocks - an unusual idea in fact. You will be able to know the exact time even after two hours after the lights were off. 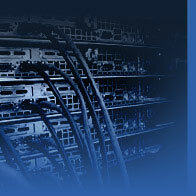 The main advantage of that technology is no electricity expenses. Light accumulative hourglasses - in that case it is possible to make the hourglasses retainers light-generative, just like its glass surface. You can even fill them with glowing sand that will be slowly moving from one bulb to another in the dark. This type is often used as a modern souvenir or a unique present. Mechanical watches - more than 80% of all the light-accumulative watches are made from this type of wristwatches. It is a classic that never dies. To buy glowing mechanical watches please contact our Customer Support. Digital watches - about 18% of all the luminescent watches are digital. 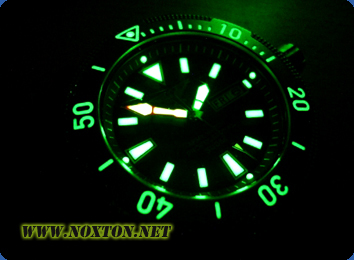 The most interesting ones are the new and unusual wristwatches that have an ability to glow in the dark by themselves. Sundials (photocells based) are usually not made glowing ones (less than 2% market share). They are using a new type of energy to say. Noxton Company believes the situation is going to change and there will be more glow in the dark sundials. We believe that you know what kind of energy is used to get the listed wristwatches and wall clocks working. Composition: Watches with glowing faces and hands are made using Glow in the Dark Powder from the producer company - Noxton. Purpose: Self-luminous watch hands would always let you to know the exact time whenever you are in the dark or in a poorly lit area. Properties: Wristwatch is able to glow in the dark for up to 6 hours considering the extinction. The brightest afterglow effect can be seen during the first hour after the product was charged. Light energy accumulation can be started by using any light source: Sun, lamp, ultraviolet, flashlight, lighter, etc. Recommendations: Darker place results in brighter self-glow of the watch. However, luminescence will be seen every time the owner enters a less illuminated place. Glow colors: Green (basic) and light blue. Extra properties: Wristwatch can also be water and impact resistant (see the marks on the reverse side of the lid). Luminescent watch can tell you the exact time even while in the dark under the water. The maximum glow intensity of the watch can be seen in 11:00 AM and 1:00 PM due to the self-luminous hands location. You will be able to clearly see the time shown on the wall clock from the other side of the room in the dark (from a maximum distance of 20 m). Sundial is one of the most ancient inventions of humanity. Noxton Technologies informs its customers that you can make the watches of certain types light-accumulative ones all by yourself. For example, mechanical or digital wall clock will start to glow in the dark if you will cover its face or hands with glowing paint for metal. There is nothing complicated about doing it. Just use a brush or a sprayer to paint the object. All the instructions will be provided. Noxton Company is currently looking for dealers to work in other regions. You can start your own business from a scratch with a leader in luminescent technologies field - Noxton Company. Unusual wristwatches and wall clocks can be well combined with other products from our Company, like decorative luminous flowers and unique luminescent t-shirts. To see the prices for the luminous watches with an afterglow feature please proceed to "Price list" page.